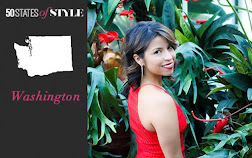 New From HauteLook: The Sole Society - Will You Be Signing Up? Shoe Dazzle, Just Fabulous and now Sole Society - the shoe clubs that will keep your shoe closet happy and full. 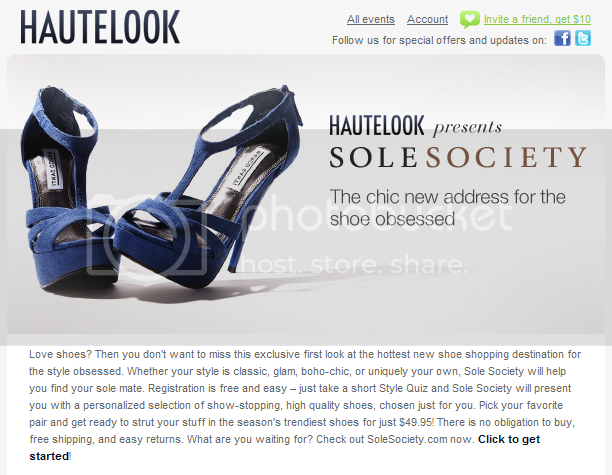 As a fan of HauteLook and a lover of shoes - I signed up as soon as I got the email. There's no money up front and you only pay when you actually want to purchase a pair of shoes. No money loss - only fashion to gain. Like other fashion club sites, Sole Society has you choose from various pictures so it can give you options that fits your style. I have to say I was a little concerned with some of the pictures I had to choose from, most of them I didn't love. I just chose the one closest to what I would like. I haven't had any options sent to me yet? I am interested to see what they send and I will let you know if I ever actually purchase a pair of shoes. Do you belong to Sole Society? I'm definitely going to join, although I've done stuff like this before and have never really utilized the resource. Hopefully that will change! I'm definitely going to join. after getting things from just fab and shoe dazzle i finally decided to try this one. i hope the shoes aren't cheap in quality.